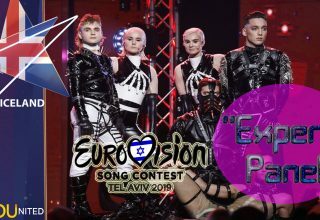 A recent argument among fans of Eurovision is the use of The Idol, X Factor, The Voice or similar singing contest to select an entrant for Eurovision. 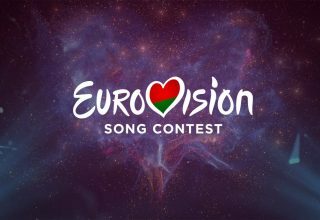 Many fans view it as a negative influence on the contest, arguing that these contests devalue Eurovision by countries losing their identity by sending generic entrants who favor generic songs. 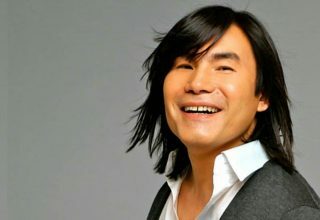 A counterpoint is how Georgia have actually turned that argument on its head by having Georgian Idol and Ranina rely heavily on Georgian music, culture, and language. Say what you will about Oto Nemsadze and “Keep On Going,” but they sent a uniquely Georgian voice with a uniquely Georgian composition despite using the format of Georgian Idol. 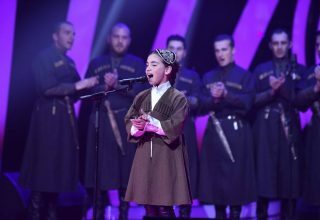 And რანინა (Ranina), who sent its winner to Junior Eurovision 2018 and will be doing so again for the 2019 version, is similarly featuring Georgian music and culture in Episode 3, the first five performances of the second tour, a tour of Georgian folklore. Four “tours” of different themes will be completed by all ten contestants over the span of eight weeks. 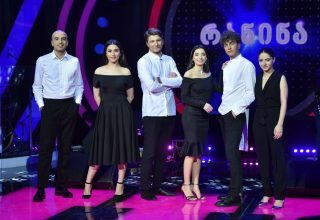 The five contestants with the best scores accrued from the three member jury (This tour’s judges are David Evganidze, Misha Mdinaradze, and Maia Mikaberidze) will move on to the semi-finals, and from there three finalists will be selected for the final where the winning performer and internally selected song will be chosen. After the first tour, Nika Petriashvili, Giorgi Rotiashvili, Keta Akhalbedashvili, and Ana Berishvili lead with 120 points each, earning perfect scores from the judges thus far. Georgia remain the winningest country at Junior Eurovision since its debut in 2007, capturing the crown a record three times in 2008, 2011, and 2016. Georgian Idol was a ratings blockbuster for Georgia Public Broadcasting’s TV1, and will be hoping Ranina continues that trend over a similar qualification process. The “Georgian folklore” tour sees the contestants performing with legendary Georgian polyphonic ensemble Shavnabada. Based on Mount Shavnabada, this ensemble seeks to preserve and resurrect the musical folklore of Georgia that had been decimated during the Soviet Union, due to the regime’s crackdown on the Orthodox Church. Anyone remotely interested in Georgia’s idiosyncratic choral tradition should check this tour (Episode 3 and Episode 4, next week) out on Ranina. In other Junior Eurovision news, Dino Jelusic’s hard rock outfit Animal Drive released its full “Back to the Roots” EP. Sadly your fantasy of a hard rock version of his Junior Eurovision 2003 winner “Ti si moja prva ljubav” won’t come true this week, but he has an even more unusual hard rock take on a pop classic: Roxette’s “The Look,” a duet with Trans-Siberian Orchestra touring co-vocalist Rosa Laricchiuta. It is unusual, and it sounds like a gimmick, but Jelusic and company pull it off. The only question you ask is why no other hard rock band had thought to do this before. The first single, a cover of Skid Row’s “Monkey Business,” done as a tribute to former Skid Row frontman and guest actor in Gilmore Girls Sebastian Bach, whom Jelusic is often (and rightly) compared to, was released a month ago, and now the full four song EP is available on CD, for download, and on streaming services everywhere. I highly recommend you check this out to hear the latest step in the career of a rising star in the rock and metal sphere. A Junior Eurovision national selection alumnus and Junior Eurovision 2018 co-host impressed revelers at the 2019 Eurovision in Concert with a live outing of her entry “Like It” for the adult event. 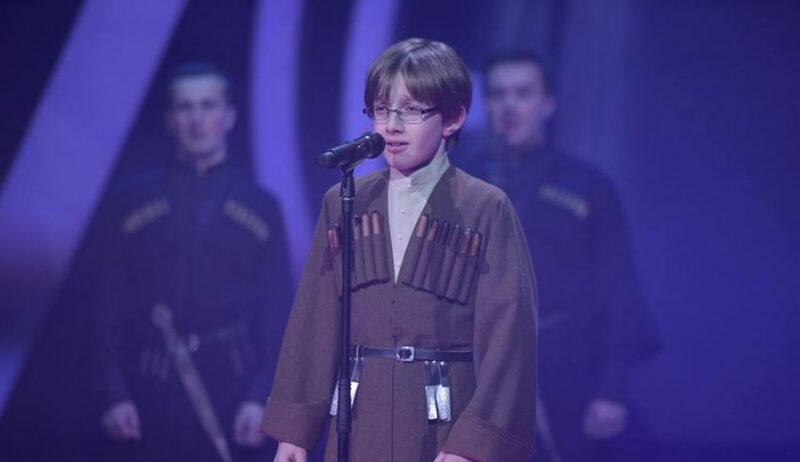 (ZENA came close to qualification for Junior Eurovision in 2015 and 2016 in the Belarus national selection.) A lot of the comments in our YouTube video of ZENA’s performance suggest a few minds have been changed. Our team of Matt Friedrichs, Sean Tarbuck, Melanie Otto, and Roy Postema were in Amsterdam, the Netherlands, to capture the acts and chat with them about their entries and prospects. Who is impressing #YOU in Ranina this year? 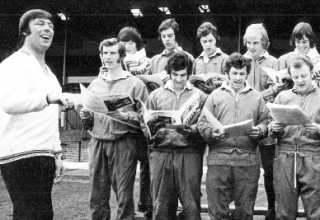 Dino has the sound, do #YOU agree he’s also got The Look? After more outings for ZENA, have #YOU changed your mind on “Like It?” Comment in our forum, on social media, or in our comments below. Next article Eurovision Choir RoundUp: Wales and Norway Select Representatives!